The Makhtesh HaKatan (Small Makhtesh) is the smallest (about 5km x 7km) of 3 makhteshim, a geological land formation in the Negev desert, known also as an erosion cirque. This photo was taken from the rim, looking down into the makhtesh. The technical details – the photo was taken with a Nikon point and shoot camera in January (ISO 100, 8mm, F7.6 at 1/250 sec). 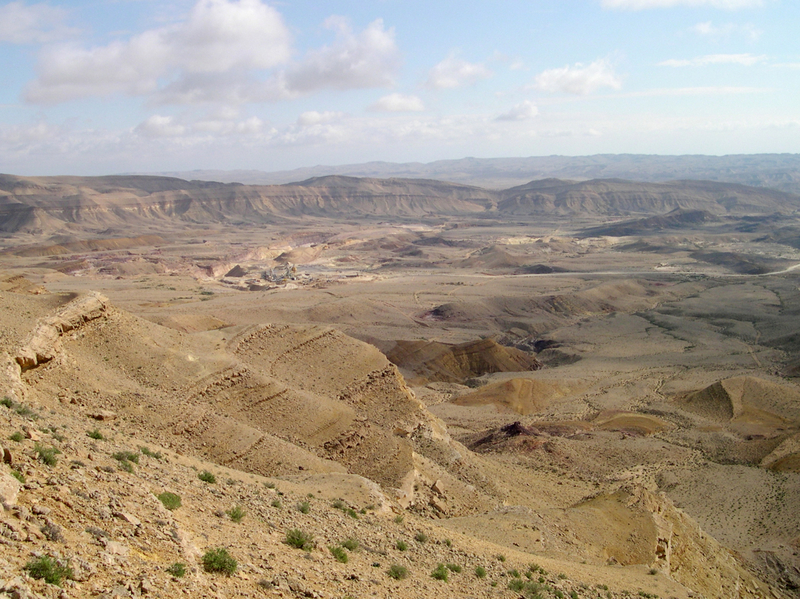 This entry was posted in Desert, Nature, Photography and tagged erosion cirque, geomorphology, Israel photo, makhtesh, photo of week, Photography on March 31, 2013 by Shmuel Browns. Geomorphology is the is the scientific study of landforms and the processes that shape them. My teacher, Menahem Marcus called it פיסול הנוף, the sculpting of the landscape by surface processes that comprise the action of water, wind, ice, fire, and living things on the surface of the Earth. 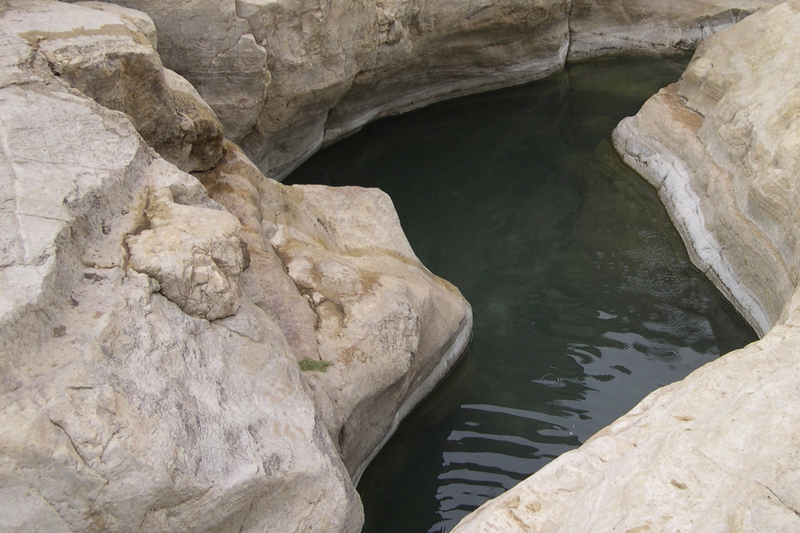 This photo of a natural pool in Wadi Qelt, itself a stream bed sculpted by the action of water, has been sculpted into an interesting shape. The technical details – the photo was taken with a Nikon point and shoot camera in October (ISO 100, 8mm, F2.8 at 1/50 sec). This entry was posted in Nature, Photography and tagged geomorphology, Israel photo, natural sculpture, photo of week, Photography on March 3, 2013 by Shmuel Browns.